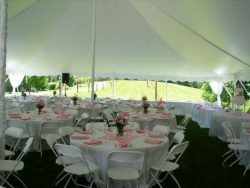 From weddings to corporate events, family reunions to private parties and beyond, McGuffey Tents, Inc. is your full-service provider of tents, tables, chairs and anything else you need to accommodate your guests. Our capabilities and experience in flexible structures and rental tents enable us to exceed your expectations, to make your event bigger and brighter! A party is only as good as its accommodations, which means it’s a good idea to plan ahead for things like tents, tables, chairs and other party equipment rental serving West Virginia and Mid-Eastern Ohio. McGuffey Tents, Inc. is here to help make sure your party is one that everyone in attendance will enjoy! We have a huge assortment of party rental products available for you to benefit from, backed by the expertise you’re looking for in a rental partner. We’ve helped customers set up for birthdays, graduations, block parties, corporate events, weddings and more, and have the expertise to make sure you’re renting all of the necessary items to make your event an enjoyable one. 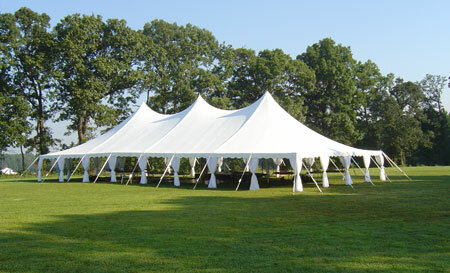 We carry tents of all types, as well as chairs, tables and accessories to make sure your event is complete. We can accommodate events of up to 3,000 people! Our rentals extend to events of all types, including corporate gatherings, private events, weddings, birthdays and more! If you’re looking for an affordably-priced tent rental that will accommodate all of your guests and event location, trust the professionals at McGuffey Tents, Inc. Contact us today for a quote.